After a drama-filled 2013, Foxygen return with 80-minute concept double album …And Star Power, where the duo is backed by the extraterrestrial punk band Star Power (according to the press release anyway). 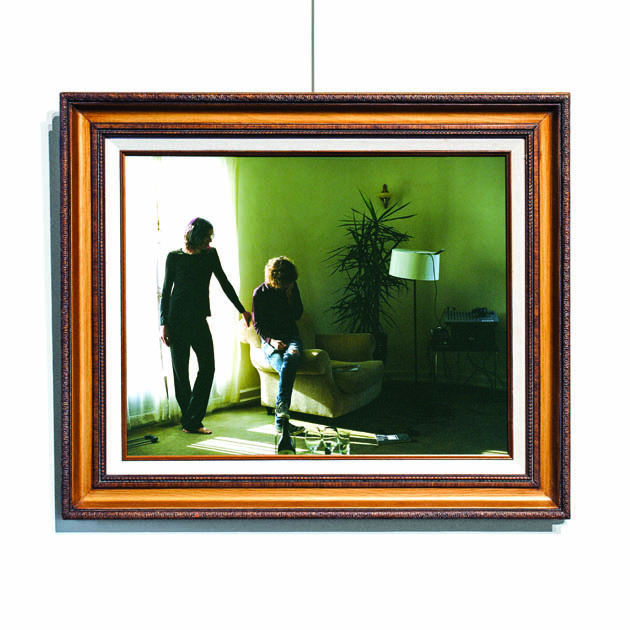 Star Power finds Foxygen stretching their sound to the absolute limit, incorporating found sounds, ’70s soft-rock, and spacey prog. Foxygen’s Sam France and Jonathan Rado were mentioning as far back as a year ago that their next album was heavily inspired by Todd Rundgren’s groundbreaking early ’70s repertoire—and boy oh boy, they were not exaggerating. The album is so unabashedly Rundgren-esque I had to double check to see if the tracks “Coulda Been My Love” and “Everyone Needs Love” weren’t actually just re-titled covers of Something/Anything? tunes. The similarities don’t end there, however. The album’s highly fragmented song cycle is sequenced almost entirely like Rundgren’s ‘73 mindbending prog-pop opus A Wizard, A True Star. Nine of Star Power’s 24 tracks come in at under two and a half minutes, with stream-of-consciousness melodies interspersed by lo-fi jamming and tape hiss which makes their ramshackle 2013 breakthrough Ambassadors of Peace & Magic sound downright slick. Having said all that though, it isn’t necessarily a bad thing. There are some seriously great moments on this album, particularly the infectious brassy power-pop of lead-off single “How Could You Really” and the Embryonic era Flaming Lips-styled noise collage of “Cosmic Vibrations.” And despite the record’s obvious indulgences, Foxygen have shown a remarkable discipline by not packing too many ideas into one song, instead spreading them out amongst the album’s four sides and knowing when to utilize their sparse sound to full effect.